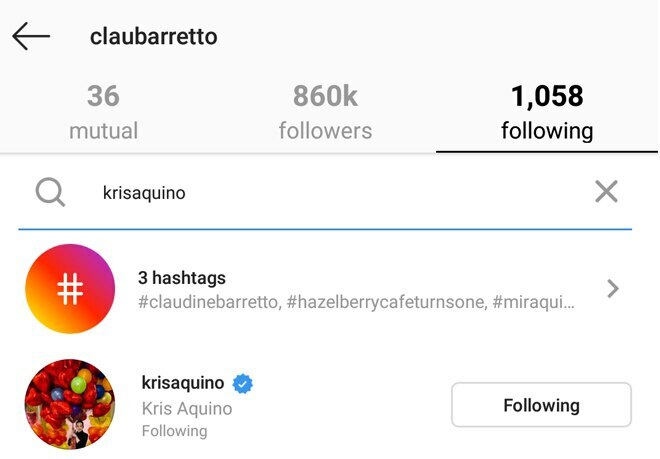 Kris Aquino recently unfollowed Claudine Barretto on Instagram. 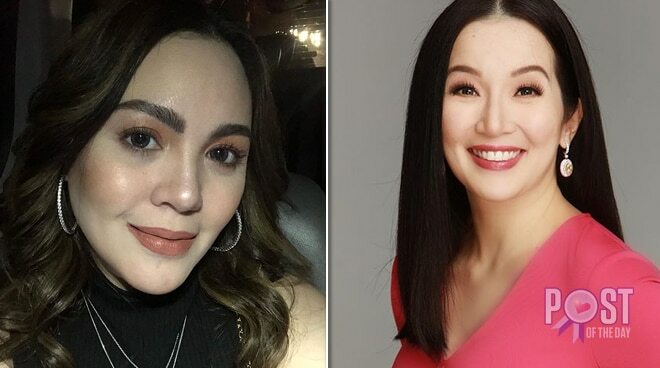 Claudine Barretto clarified during her Instagram live session with sister Gretchen Barretto that she and Kris Aquino are still friends despite Gretchen calling Kris out in public during her legal battle with Nicko Falcis. “Yes, [we’re okay],” Claudine said. “Alam mo kami, may usapan din kami ni Claudine. I understand her life, her friends. Her friends are her friends, my friends can be her friends but she doesn’t have to be angry at an enemy or somebody that has done me wrong in the past,” Gretchen explained. This question was asked by netizens watching their live session because they also noticed that Kris unfollowed Claudine on Instagram. Claudine and Kris worked together on the 2015 film Etiquette for Mistresses with Iza Calzado, Kim Chiu, and Cheena Crab.